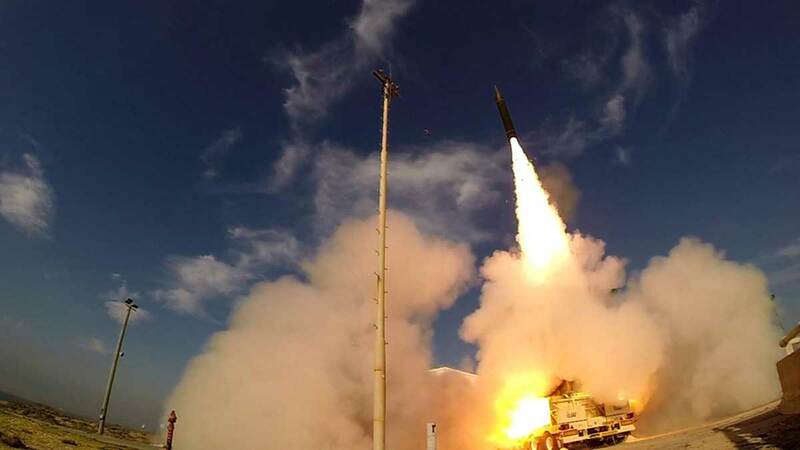 JERUSALEM, Israel (BulgarianMilitary.com) – Israel has performed a limited test of its Arrow-3 ballistic missile defence system over the Mediterranean, learned BulgarianMilitary.com. The test was performed in the early morning of Jan. 22 from the Palmachim air base in central Israel. The test was part of the preparations for the full-scale intercept test of the Israeli Arrow-3 ballistic missiles interceptor, planned to be performed in Alaska. Once the target was launched, from an Israeli air force fighter aircraft Arrow Weapon System radars detected it and transferred the data to the battle management control (BMC) which then established a defense plan. At the right moment, the Arrow-3 interceptor was launched toward the target and successfully completed its mission. The test was performed with limited range in accordance with the limitations of such a test over the Mediterranean. The full test of Israel’s Arrow -3 ballistic missile interceptor is planned for mid-year in the U.S Kodiak range in Alaska. A test planned for mid-2018 was postponed. The Arrow-3 will be launched to intercept an air launched target that will simulate the most advanced Iranian ballistic missiles. The specifications of the target were designed according to updated data about the emerging threat. The intercept test will be performed in Alaska, as it enables to test the full capabilities of the Arrow-3.